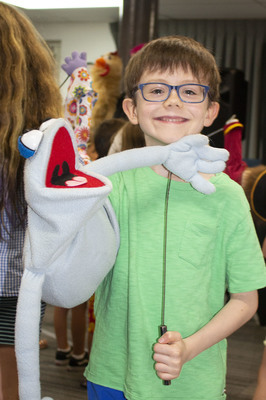 Hasting Boyd masters the art of making a puppet speak. 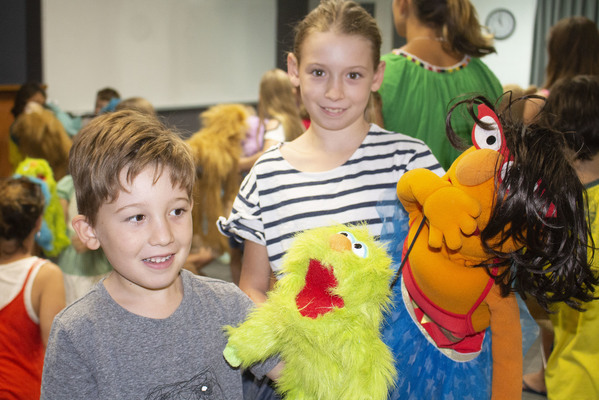 Keeping a room full of children quiet and focused is not an easy task but Larrikin Puppets had a group of about 50 mesmerized when they gave each one a puppet and showed them the secrets to making them come to life. 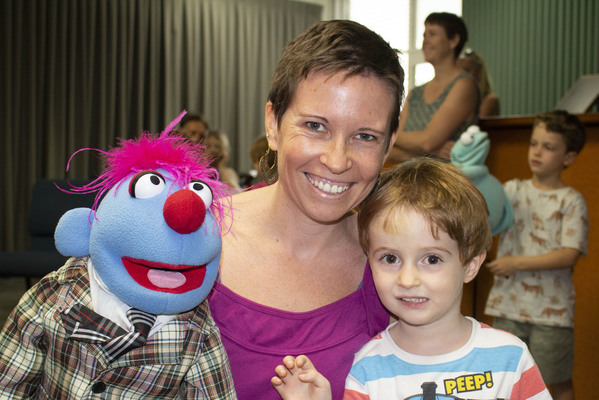 Corinna and Willow Bowles get to know their puppets. 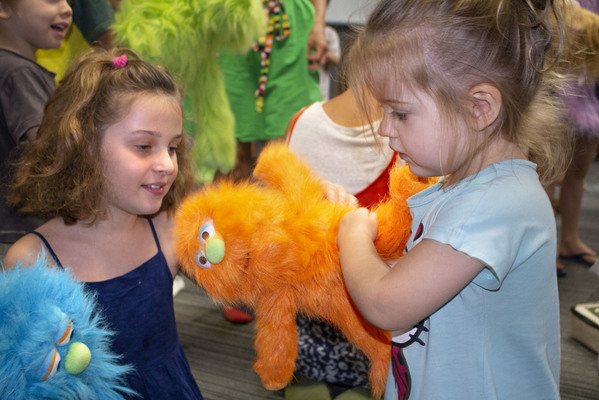 Keep the eyes facing forward, move the mouth up and down to make it speak and use your best puppet voice were among the directions metered out. 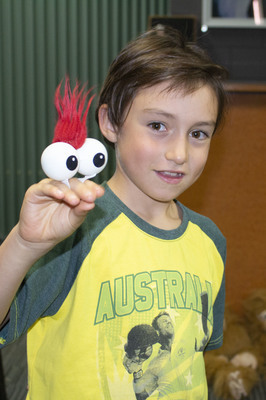 The puppet workshop provided by Noosa Library was just one of school holiday activities on offer last week. Max Deschamps is in control. 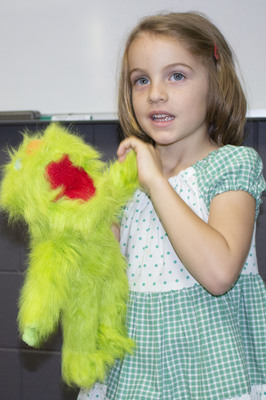 Lola listens to the instructions.